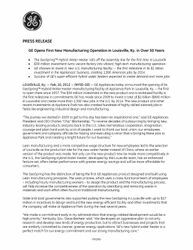 LOUISVILLE, Ky., – Feb. 10, 2012 – (NYSE:GE) – GE Appliances today announced the opening of its GeoSpring™ Hybrid Water Heater manufacturing facility at Appliance Park in Louisville, Ky. – the first to open there since 1957. 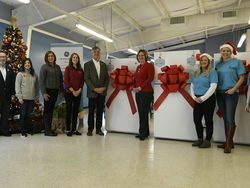 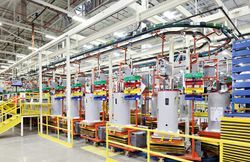 The $38 million investment in the new product and a revitalized facility is the first milestone in commitments GE has made since 2009 to invest a total of $1 billion ($800 million in Louisville) and create more than 1,300 new jobs in the U.S. by 2014. 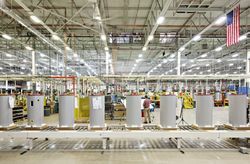 The new product and other recent investments at Appliance Park has also created hundreds of highly skilled salaried jobs in fields like engineering, industrial design and manufacturing. 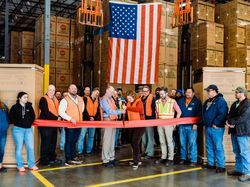 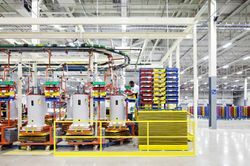 $38 million dollar GE investment turns vacant U.S. factory into vibrant, high-tech manufacturing operation. 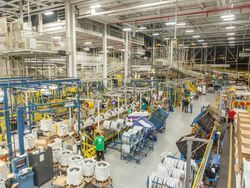 GeoSpring will be available in March at national retailers such as Lowe’s and Sears and national plumbing distributors such as Ferguson, as well as many local retailers and distributors. 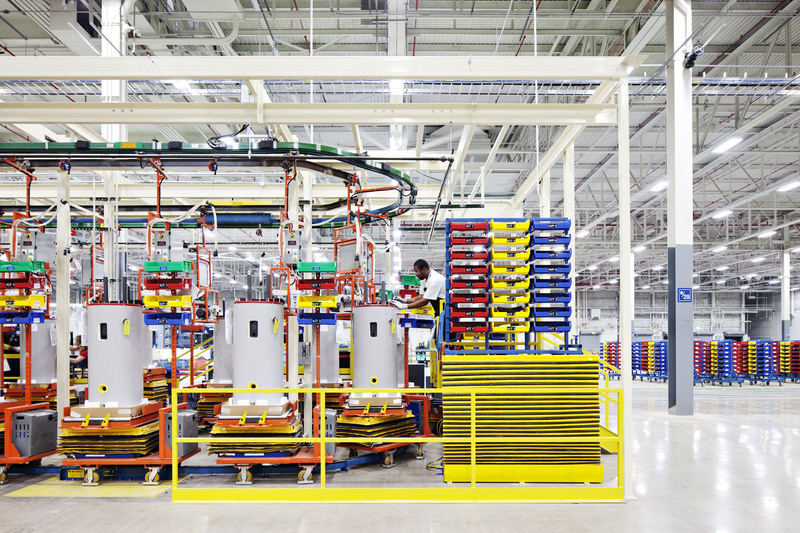 Estimated retail price: $1,199-$1,299. 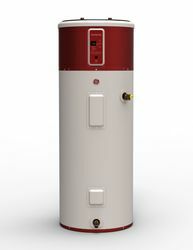 For more information on features and availability visit GEAppliances.com/american-made-water-heater/. The GeoSpring™ will save an average consumer $365 a year on their utility bills and curb costs related to the second biggest energy drain on the home. 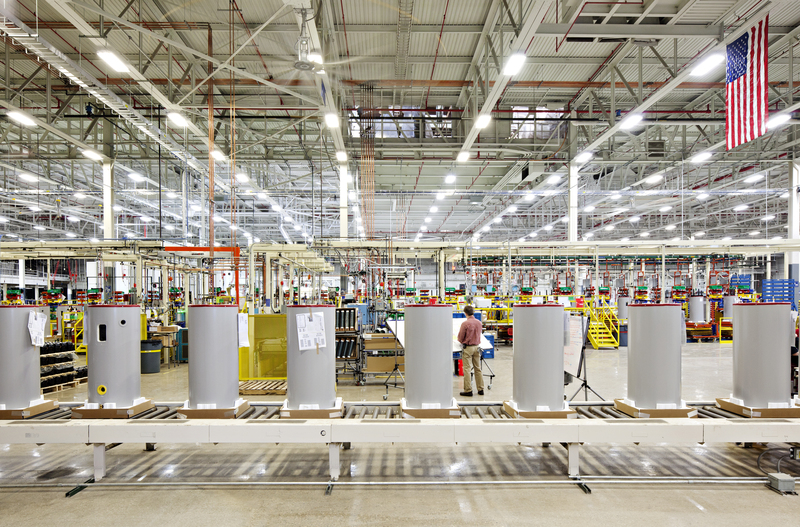 With an amazing expanded Appliance division, it’s a great day to be GE.